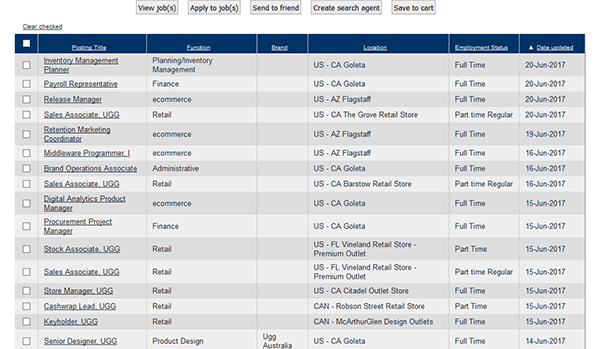 The UGG job application can be accessed by clicking the links on this page. Several different types of careers can be applied for (across numerous countries), however the guide posted below details the online hiring process for U.S. based applicants. Learn more about navigating the employment site, searching for new job opportunities, and creating an online account by following the instructions posted in the below section. About the Company: UGG is an American fashion brand/retailer based out of Goleta, California. The company was formed in 1978 and has a worldwide presence. Step 1 – Click here to have the UGG/Deckers Brands careers page open in a new browser window/tab. 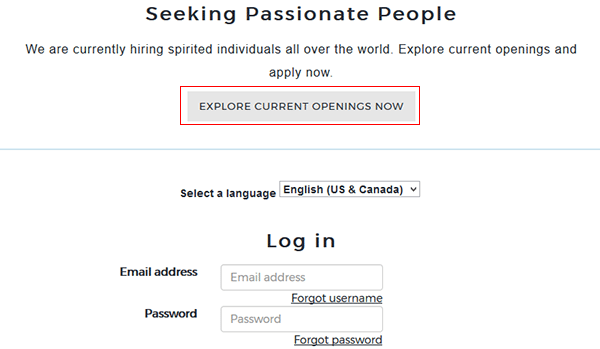 Step 2 – Scroll down the page and press the “Explore Current Openings” button/link. 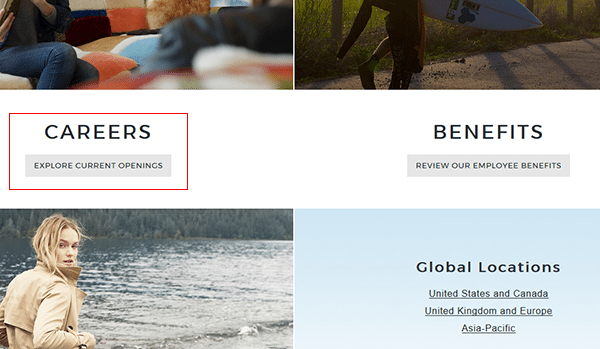 Step 3 – Click the “Explore Current Openings Now” button. 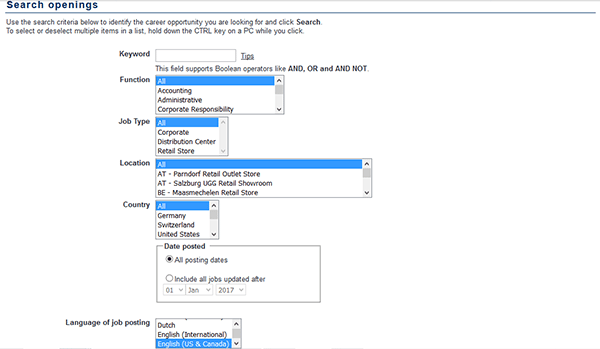 Step 4 – Search the list of current openings by entering a keyword into the input field, or by selecting a function, job type, location, or country from the lists of options. Press the “Search” button to load the results. Step 5 – Click the link of the position that you want to start the online application process for. Step 6 – Review the job description and then hit the button as outlined below. Note: You will only be allowed to submit the application form if all of the subsections have been fully completed. Applications/resumes typically take 3-7 business days to be reviewed by a manager/the HR department.